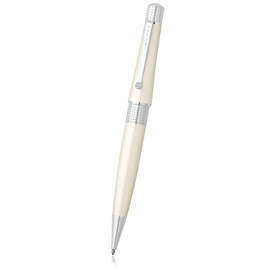 Cross is as dedicated to creating attractive and functional writing instruments as it was at its founding by the English artisan Richard Cross, who sailed to America in 1846 to set up the now world famous Cross pen company. Recently celebrating 170 years of craftsmanship, Cross continue to be a classic choice for gift-giving, with every Cross pen coming with a lifetime mechanical guarantee. 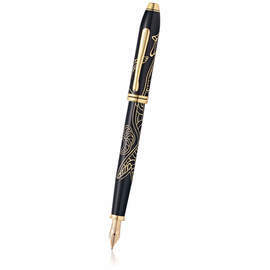 Cross' extensive selection features something for everyone, combining ranges of classic and contemporary designs - from Limited Editions using precious metals and Swarovski crystals to modern multifunction pens celebrating film and comic characters. With expert design and top-caliber manufacturing it's no wonder Cross has been the pen of choice for several American presidents. There's plenty to celebrate with the Cross 21st Century limited edition collection. Created especially to commemorate the 170th anniversary of Cross and the 70th anniversary of the iconic 1946 Century range, this distinguished collection is limited to 170 pieces worldwide, features a AA grade diamond and presents Cross' first ever solid-gold finish. The Cross ATX uses gentle curves to fit perfectly in your hand. Available in three classic colour combinations. 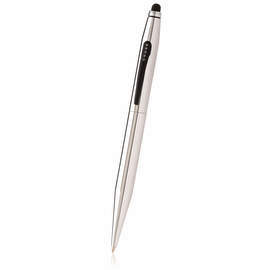 The Cross Bailey range presents well-balanced, traditional pens in four high-gloss finishes. A multigrooved centre ring and high contrast accents create a vivid yet classic appearance. The Cross Beverly range offers a modern, feminine form to Cross' excellent selection. An elegantly curved clip and its textured end cap and centre ring add originality and interest to the sleek profile. Glossy lacquer finishes in black, rich purple or lustrous pearl-white combine with polished chrome accents to great effect. The Botanica range combines delightful floral designs with etched metallic highlights and rich colours on a pearlescent ivory lacquer. These striking designs are a beautiful celebration of nature. The Cross Calais range combines Art Deco sensibilities with clean lines to deliver four chrome-driven designs. The lightweight and sleek Calais is now also available in rollerball and fountain pen. The Cross Century II presents a more substantial variation on the Classic Century with a balanced, weighted design whilst maintaining all the style and grace of the Classic Century. Cross designed the Classic Century range to embody the American spirit. 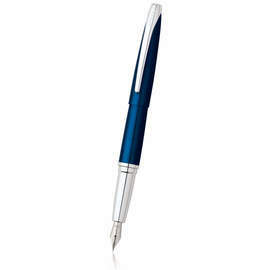 The 9 timeless finishes include a new blue lacquer. Classic ballpoint pen and pencil versions are joined by the newly available fountain and rollerball pens to make this great range bigger and better. 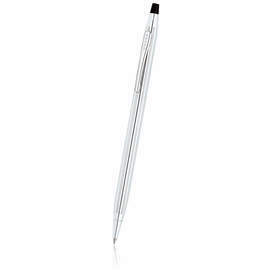 Simple and refined, the slim, retractable Cross Click ballpoint pen is perfect for contemporary tastes. 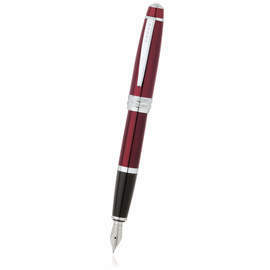 Available in three satin colour finishes and in a highly-polished chrome finish. 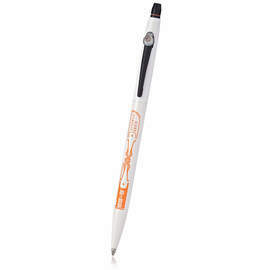 The gel ink pens of the Cross Click Star Wars collection combine instantly recognizable emblems with inspired colour schemes to celebrate some of the best known characters in the Star Wars movies. The Cross Double Desk Set features an attractive walnut base with an engravable name plate, perfect for personalisation with our engraving service. 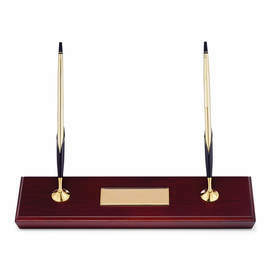 The double desk set features a Classic Century ballpoint pen and 0.7mm mechanical pencil in 10CT gold filled/rolled gold finish. Celebrating the 125th anniversary of the original Peerless pen, Cross believe the Peerless 125 range is the finest pen they've ever created. 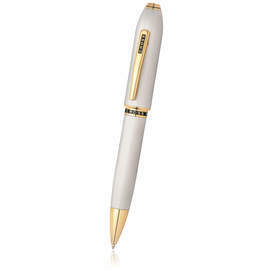 The stunning pen combines precious metal finishes, a wide-bodied profile and a brilliant-cut Swarovski crystal. The Peerless 'Citizens' range reproduces the splendor of three great cities - London, New York and Tokyo. The bold and artful designs are inspired by three significant buildings and are presented in a range of precious metals. Tools of war are transformed into objects that inspire human imagination by design brand Fonderie 47. 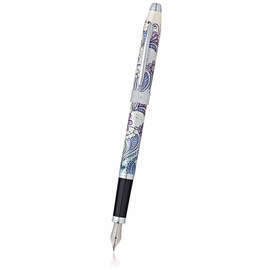 Each of these unique Collector's Edition Peerless rollerball pens is made from an AK47 and helps fund programs to reduce gun violence in war-torn regions of Africa. The Tech2 dual-function pen provides an elegant solution to modern challenges. 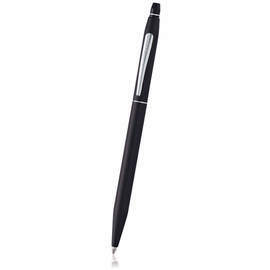 Quickly switch from a traditional ballpoint pen to the touchscreen stylus to navigate your digital device. 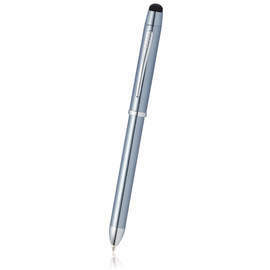 The Tech3+ is the Swiss army knife of Cross' excellent pen range, providing quick access to two ballpoint tips, a pencil, an eraser and a stylus for use on touchscreen electronic devices. 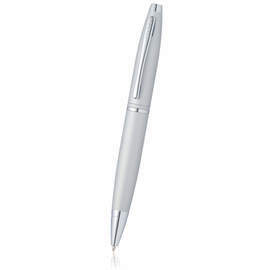 This slim design combines polished chrome accents with a variety of engraved or satin finishes to deliver a tactile writing experience. 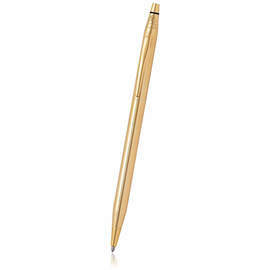 The choice of pen for several American presidents, the Cross Townsend presents a timeless and elegant design in a range of precious metals and rich lacquer finishes. Characters from the iconic Star Wars saga are commemorated in this luxurious range of Limited Edition themed Townsend fountain and rollerball pens. Four well-known characters are celebrated through themed engravings and inspired colour schemes. The Townsend Chinese Zodiac Special Edition Series celebrates the Year of the Dog, the eleventh position in the Chinese Zodiac. Keep your pens in prime condition with Cross' finely crafted Classic Century pen cases. 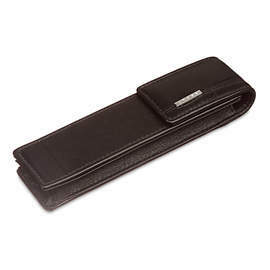 These fold-over Napa leather cases are available in two sizes to carry one or two pens.